Now you can’t even go to a gas station without being bombarded by media. An Exxon near my apartment has gas pumps with a little TV inside them that shows (of course) the news (but fortunately not CNN). The only good thing about it is that it occasionally displays the word of the day (on Tuesday, that was “desiccated”). Has anyone used Medium? It’s a fairly new blogging tool that is geared toward journalists. I don’t think it has as many features as WordPress, but it does seem to be more user friendly and basic, like a bigger and cleaner version of Twitter. 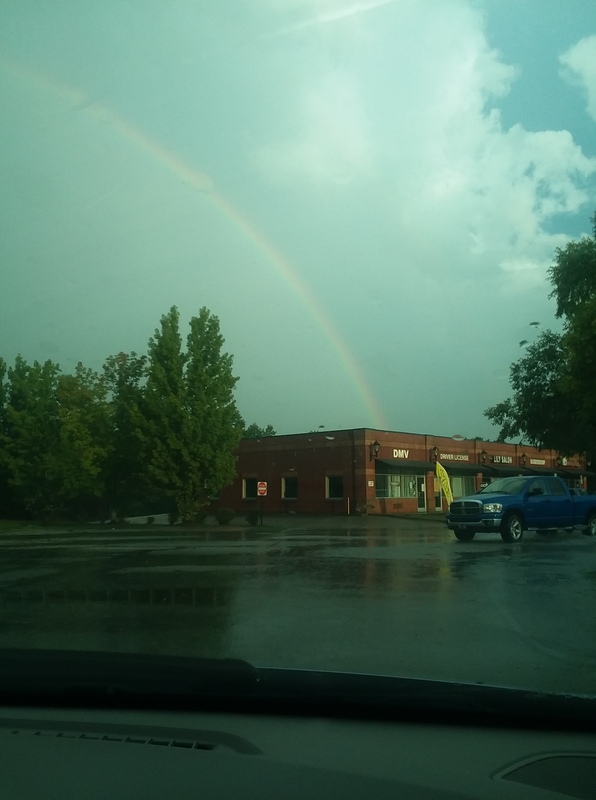 I now know where the rainbow ends… and it is unfortunately at the DMV! Why do you say “fortunately not CNN”? Would you rather it be the Nazis at Fox?! You don’t know how sick I am of CNN. It is literally everywhere.